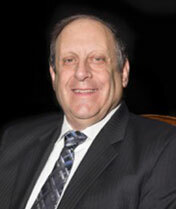 Richard I. Haber, CPA has over 40 years experience in the financial accounting and income tax areas. He began his career on the audit staff of Touche Ross & Co., a former Big Eight accounting firm. He works extensively with small businesses and individuals in the areas of tax planning and consulting and tax preparation. He represents taxpayers in front of the Internal Revenue Service and various state taxing authorities. Harvey Waller is an Attorney and Certified Public Accountant based in Chicago, Illinois with over 40 years of experience. Harvey’s passion and expertise is in the area of estate, retirement planning and asset protection planning, federal and state tax matters, and business/corporate matters and succession planning. Harvey Waller worked at the Internal Revenue Service prior to practicing law. There, he spent seven years as an IRS Agent; eventually serving on the US Attorney’s Office, Strike Force Division. In addition, Harvey gained valuable experience at the IRS as an Examiner for individuals, small businesses, and Fortune 500 companies, an Auditor on the IRS Review Staff, and as an IRS Staff Instructor. 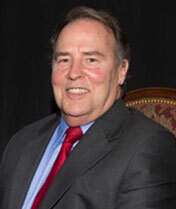 Harvey Waller speaks in Estate, Retirement, and Asset Protection Planning seminars. Harvey also educates financial and investment advisors on various legal and tax issues in the area of Estate Planning in the Chicagoland area. Steve graduated from Grand Valley State University before getting his law degree from Thomas M. Cooley Law School in Grand Rapids, Michigan. After becoming licensed to practice law in Illinois, Steve earned a Master of Law from DePaul University College of Law in Chicago. Steve focuses his practice on Estate Planning, Elder Law, and Real Estate. As part of his estate planning experience, he helps provide individuals and families with the tools they need to get their assets where they want them to go as efficiently as possible. Whether it is employing simple strategies or advanced estate tax planning, Steve enjoys working with a diverse group of clients from around the Chicagoland area. An important part of his practice involves helping seniors prepare for their latter years. This includes providing proper Medicaid planning and asset protection to help clients outlive their money. 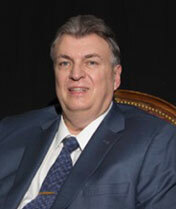 Jerry was admitted to practice before the Illinois bar in 1981 after obtaining his Juris Doctor degree from The John Marshall Law School in Chicago. Before law school, Jerry attended the University of Illinois-Chicago and earned a Bachelors Degree in each History and Political Science. Since starting his own practice in 1982, Jerry has developed a specialization in the area of elder law and estate planning. Jerry regularly speaks at events throughout the Chicagoland area and teaches seniors and their families about various aspects of estate planning and how to protect their assets when applying for Medicaid assistance. In addition to practicing law, Jerry is deeply involved in his community. For the last 15 years, Jerry has served on the board of Trinity Christian School in Shorewood, Illinois. As of January 2016, he also serves on the board of Morningstar Mission, Inc., an organization involved in Christian ministries and in providing food and shelter for the needy in Joliet, Illinois and the surrounding areas. Nick received his undergraduate degree from the University of Notre Dame and received his Juris Doctor from Loyola University of Chicago School of Law. 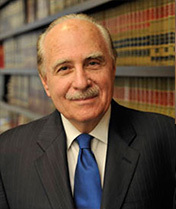 A native of Chicago, Nick has been a member of the Illinois Bar since 1988 and a member of the Federal Bar of the Northern District of Illinois since 1988. He is a member of the Chicago Bar Association, DuPage County Bar Association, Will County Bar Association, Notre Dame Club of Chicago, Notre Dame Club of Greater Dupage, Association of Certified Estate Planning Attorneys, National Care Planning Council and Illinois Elder Care Planning Council. 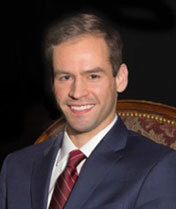 Nick has always concentrated his practice in the areas of Estate, Financial and Medicaid planning. He works with various attorneys, financial planners, accountants, insurance agents and senior organizations speaking at seminars on these topics. Nick assists clients in setting up revocable living trusts and other estate planning instruments to protect and preserve the clients’ assets. He travels throughout the state of Illinois visiting clients at their homes to educate and assist them in setting up their homes to educate and assist them in setting up their estate plans. Mr. Bathas is a participating member in the AARP Legal Services Network.